Victoria Beckham has grown beyond her 90s Posh Spice identity and has reinvented herself. No longer sporting that pin straight bob and barely there dresses, she’s now at the helm of a successful fashion label, which she started in 2008. 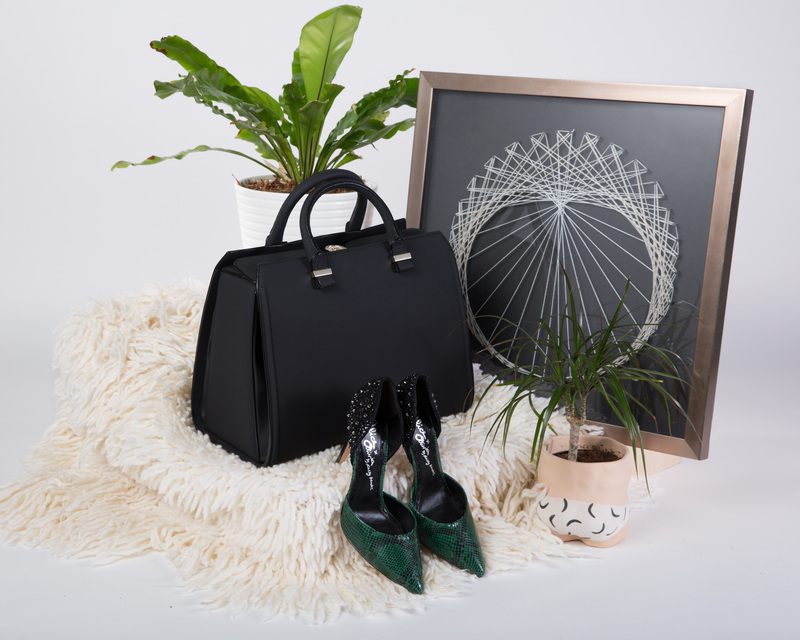 Her ultra chic ready-to-wear line includes sophisticated knit dresses, long skirts with loud patterns, oversized sweaters, cool girl sunglasses, and sleek handbags. Her elegantly functional designs earned her a Designer Brand of the Year at the British Fashion Awards in 2011. Since the aesthetic is minimal and the branding is discreet, Victoria Beckham designs are not easily replicated. The brand prides itself on their luxurious materials and fine design details, which copycats tend to have a hard time getting right. Still, we have seen a few fakes in our day and it’s always good to be on the lookout when you’re shopping pre-owned, just in case. Here are a few ways to ensure that you’re buying an authentic Victoria Beckham handbag. 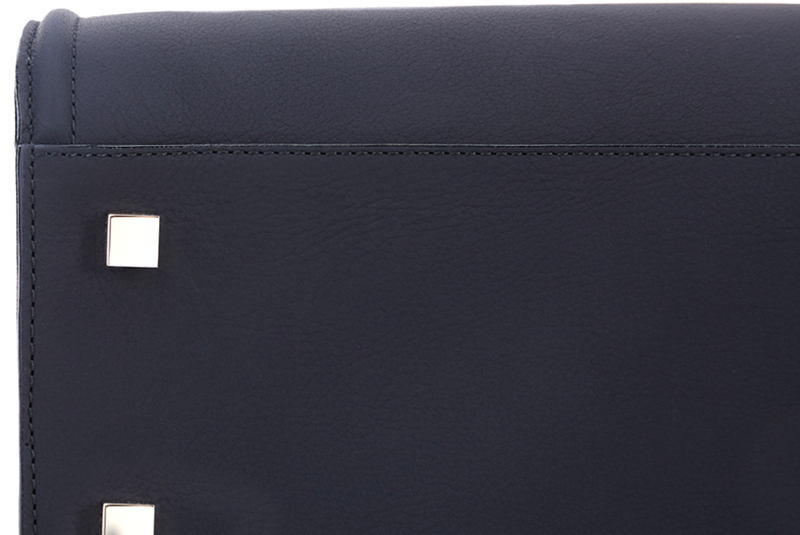 A variety of materials have been used on the exterior of Victoria Beckham handbags. Smooth calf or buffalo leather are the most common, though exotic skins like crocodile and python do appear in some collections. 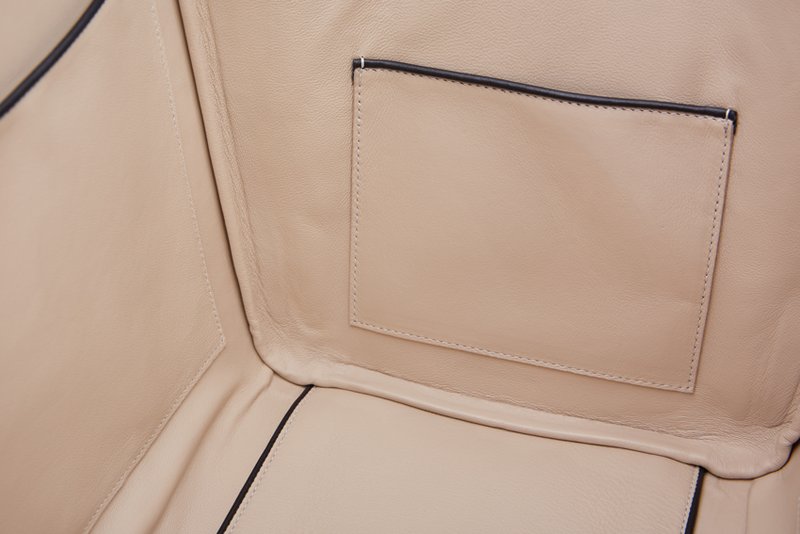 Unembossed leather should be flawless, with a slightly stiff and sturdy feel. Exotic skins should appear symmetrical. The individual scales should have natural inconsistencies and the signature “scaly” sound when touched. 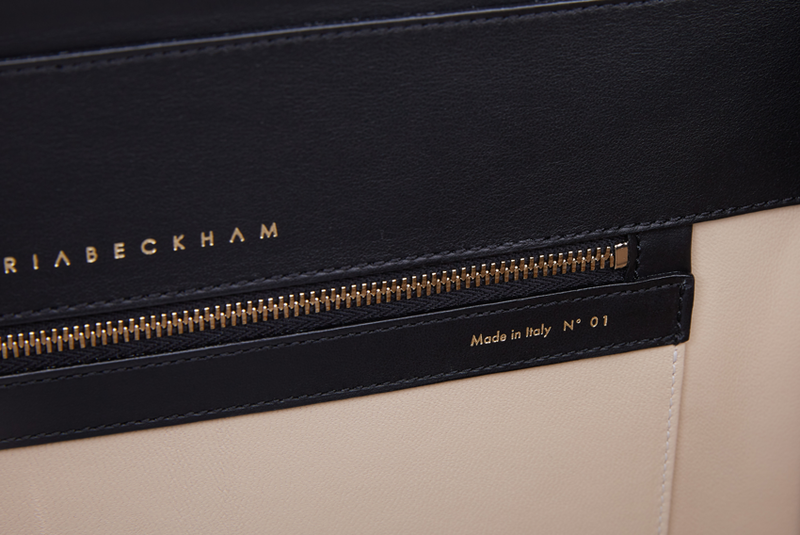 A variety of materials have been used on the interior of Victoria Beckham handbags, including lamb leather, suede, cotton twill, and cotton canvas. The Victoria and the Full Moon designs often have a lamb leather lining, while the Liberty and the Quincy totes often have canvas or twill linings. While the linings may vary by season, the materials should always reflect the quality and craftsmanship of the brand. If the lining feels synthetic, flimsy, and deviates from the specific materials listed, this is an indication that the bag may be a fake. The stitching on Victoria Beckham handbags should be straight, even, and free of inconsistencies. The stitching is typically the same color as the exterior. Uneven stitching in a different color would be a clear indication of a fake. The hardware on Victoria Beckham handbags will either be gold or silver tone. All of the hardware on the bag should match and should feel solid and heavy. Exterior metal details on popular styles should be smooth and shiny. 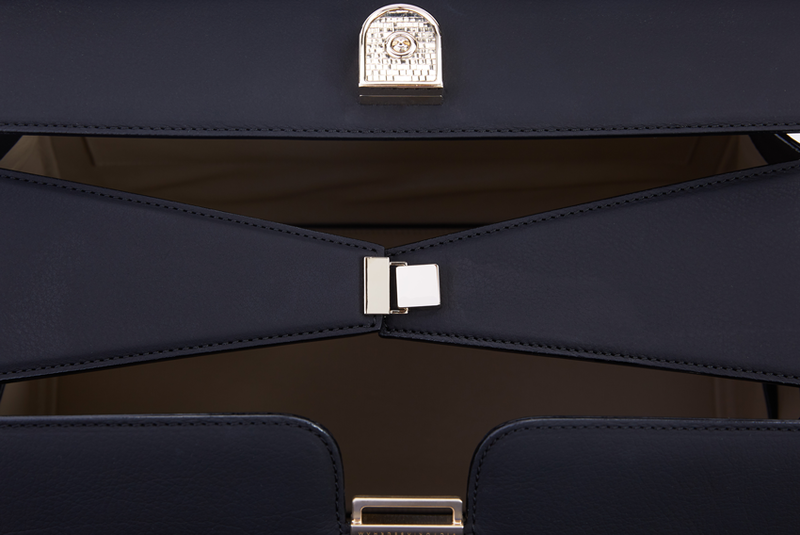 The Victoria handbag features a heavy push clasp lock at the top of the bag. Since the hardware detail on Victoria Beckham handbags are fairly minimal, it’s not always a clear indicator of authenticity. Branding on Victoria Beckham handbags is intentionally discreet. Most handbags feature an ultrafine gold “VICTORIA BECKHAM” stamp on the exterior.  The “A” in both the first and last name should not have a horizontal bar in the middle. The Quincy, the Liberty, and the Victoria feature a small piece of branded hardware centered between the handles, instead of the gold stamp. All bags should have the gold stamp above the interior zip pocket. 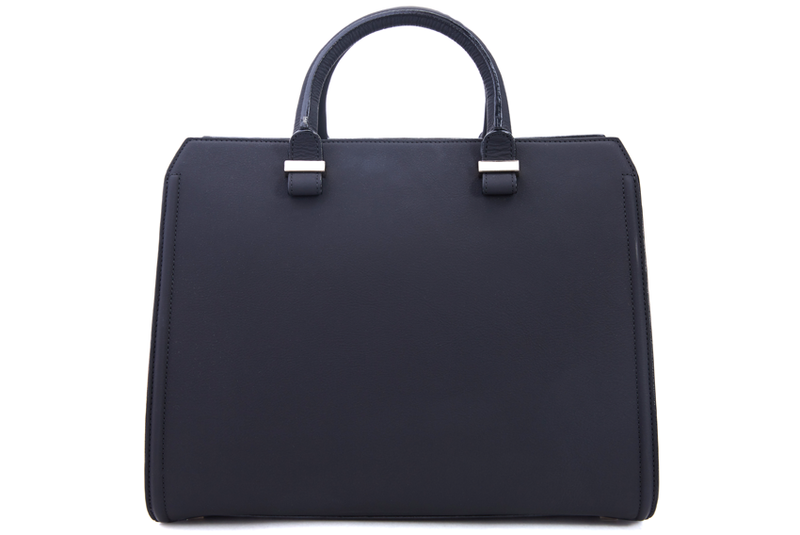 Authentic Victoria Beckham handbags are exclusively made in Italy. An origin label suggesting a country other than Italy is a clear sign it’s a fake.